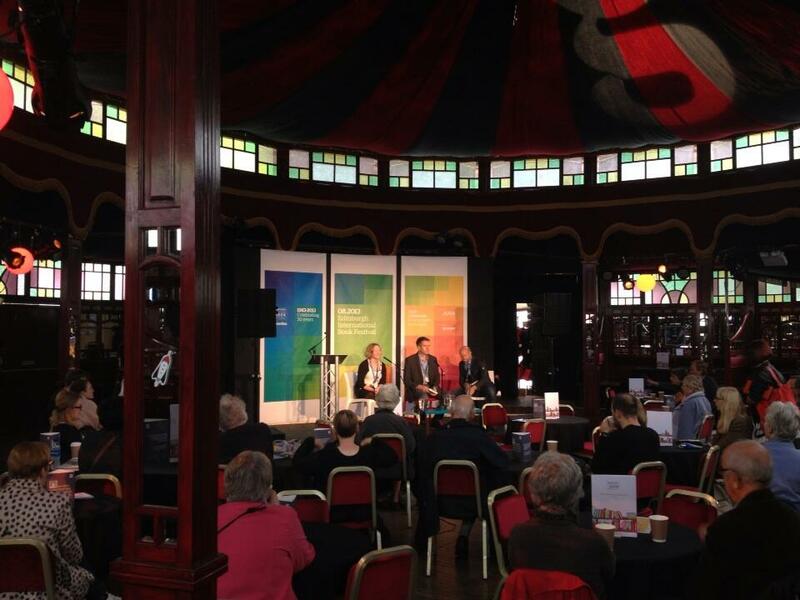 I just got back from my visit to the Edinburgh International Book Festival—tired, footsore and with fresh and vivid memories of some lovely new friendships. 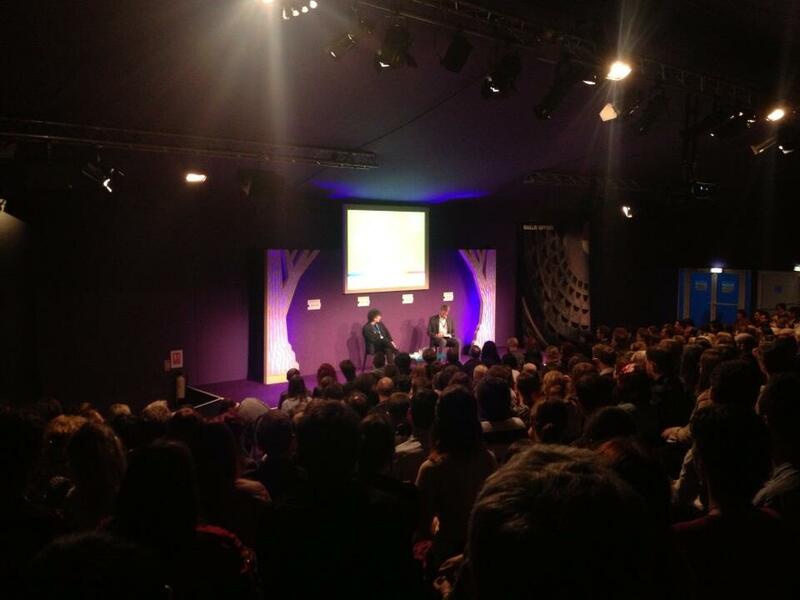 On Thursday evening I chaired an event with Neil Gaiman, ‘A Treasure House of Story‘. This was the first of several events for Neil at the Festival, and he’d arrived in Edinburgh after a gruelling 9-week tour (and the signing of an estimated 75,000 books). The event was part of a theme, ‘Reshaping Modern Fantasy’, which Neil had curated for the Festival as Guest Selector. I’d never interviewed a literary megastar before, and I’d worked hard on refamiliarising myself with his work and trying to find a plan for the event that would make sense to Neil and what I knew would be a big crowd. I needn’t have worried—Neil proved to be the perfect interviewee. He was funny, warm, articulate and deeply interesting about his new novel, The Ocean at the End of the Lane and its themes of the powerlessness of childhood, the restless reconstructions of memory, and the pressures that other people put on our representations of the past. Neil said afterwards that he’d enjoyed the opportunity to do something a bit more themed and structured than the usual ‘So how much of you is there in this book?’. I loved every moment and was sorry to say goodbye to him as he settled down after the event in front of a long and visibly excited signing queue. I wasn’t quite out of the limelight yet, though, as the guys from Respect Films, who are on the road with Neil making a documentary, caught me to talk a bit about the event while Neil signed away in the background. You can read a review of the event with Neil here. On Friday afternoon I was due to chair an event with Susannah Cahalan, a New York journalist whose book Brain on Fire is a funny, moving and pretty terrifying account of a (thankfully temporary) descent into psychosis, amnesia and loss of identity. It was another great event, thanks to Susannah’s lively readings and eloquent account of how she put the pieces of her ‘lost month’ back together. It was particularly interesting to hear her talk about the family context of her story and how she is still negotiating, with her parents and others, their inevitably divergent narratives of what happened. Her story is about the resilience of the human mind and spirit, and it was a privilege to meet her. 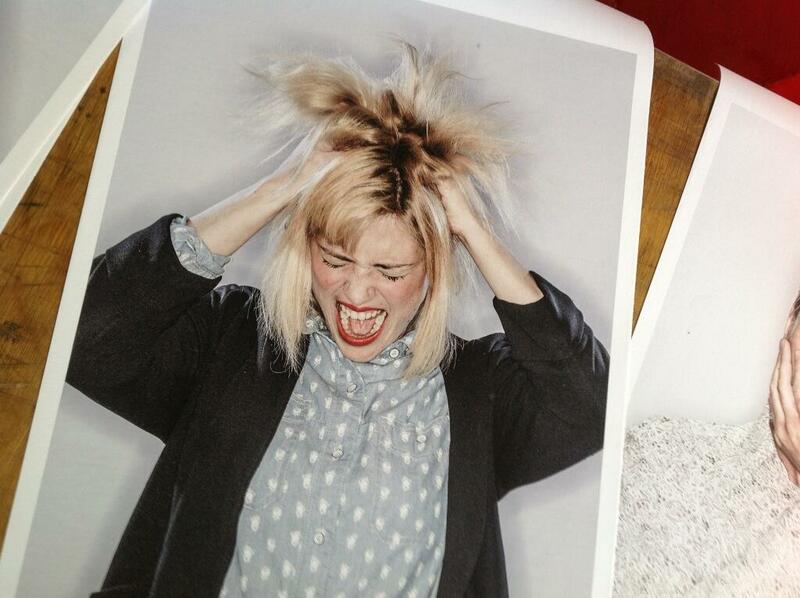 Here she is pictured in a photograph taken that same afternoon by Festival photographer Chris Close. My last event was on Saturday morning, and it was a pairing between me and another novelist, the Canadian writer Colin McAdam. Colin has written a deeply interesting book called A Beautiful Truth, which tells of relationships between chimpanzees and humans and performs the (you might think) impossible trick of giving voice to chimpanzees’ thoughts. I was very struck by Colin’s comment that, in search of self-forgiveness, he found that the only way forward was to think of himself as a primate—at which point the world of chimpanzees began to open up for him. I read from and talked about A Box of Birds and, although the styles and ambitions are different, it was clear that the books have many themes in common—themes that were expertly traced by our chair, Helen Sedgwick. I talked about how I had wanted to explore how a character would make sense of the world, and herself, if she saw herself solely in terms of neurones and chemical reactions. What would happen to that materialist philosophy when things started to happen; when that character had to make moral choices? Without wanting to give the plot away, I pointed out that I had tried to dramatise that question by giving my protagonist, Yvonne, a challenge of freewill—a dilemma in which you would act differently depending on whether you really believed you were only neurones and molecules, or whether you thought that there was something more to your ‘self’. 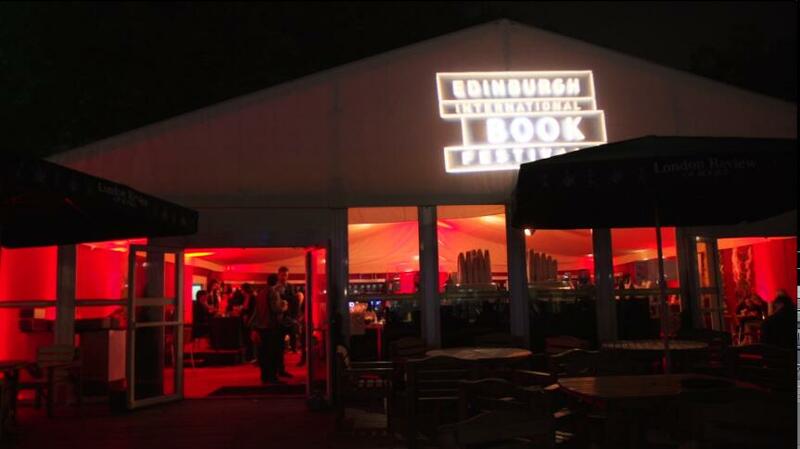 The Edinburgh International Book Festival is one of the very best festivals around: beautifully organised, gorgeously located and with staff who attend to every detail and make writers and audiences feel very welcome. As I expected, there was much laughter and intellectual surprise to be had in conversations in the Authors’ Yurt and beyond. 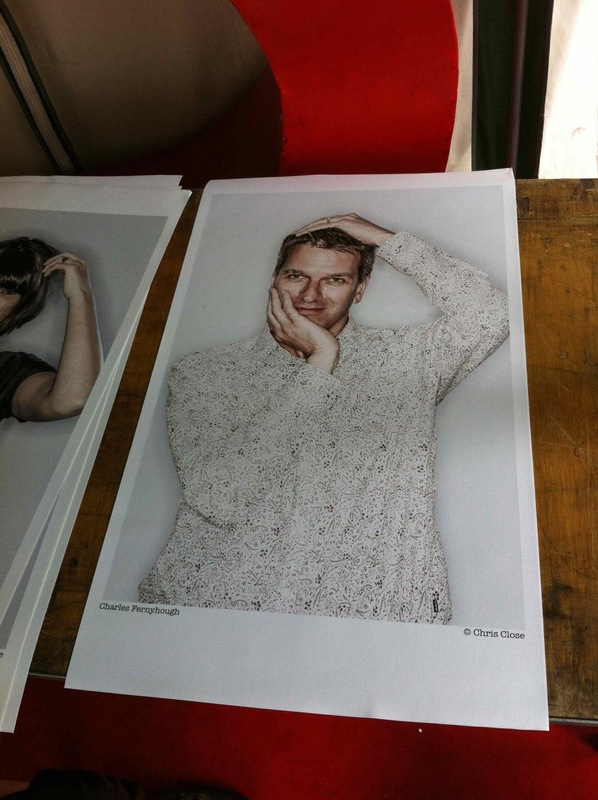 I also got a chance to be photographed by Chris Close for one of the author portraits that are put up around the site. I’m not sure if it’s gone up yet. It looks like I’m trying to screw my head back on. Did it come detached in the fun? I like to think that books, and conversations about them, could have that power.